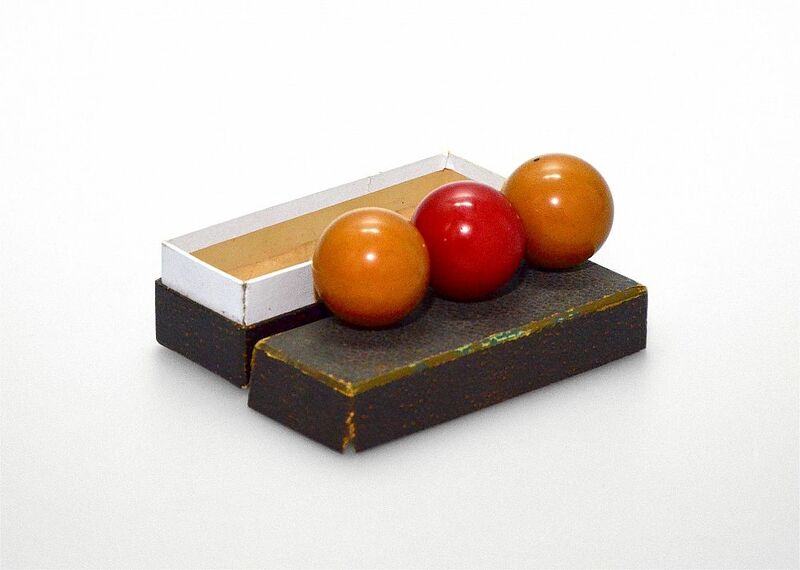 How can I describe 3 bakelite balls other than to say 2 are caramel coloured and one is red?! One of the carmel coloured balls has a small round black bakelite disc inset on either side. What are they - could be snooker/billiard balls but you could use them as worry balls, just great tactile objects. Good with some marks to bakelite and some damage to box.